OTT is a great way for religious broadcasters to reach their audience! After Tulix addressed this application what was problematic and not working smoothly became reliable and head ache free! 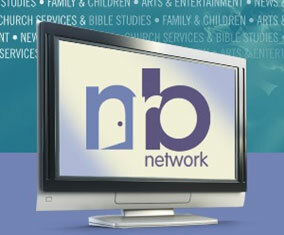 NRB Network was created by the NRB to be an outlet for creators of Christian programming content. The NRB Network has been in existence for 75 years and is the premiere organization that promotes and advocates for the rights and interests of religious broadcasters. The NRB Network espouses strong faith and ethics standards and offers an excellent outlet for lifestyle TV and video programming with a Christian perspective. The programming is often much like what someone might find on traditional cable networks - but again with a Christian perspective. 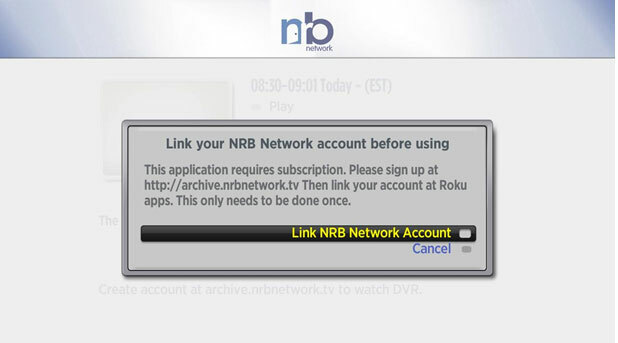 The NRB Network had previously launched a Roku channel but its implementation was not smooth, the user interface not as easy as it could be from a viewing or credentials standpoint. The NRB Network was also looking for CDN and streaming improvements. This is where Tulix stepped in. The NRB Network was in need of a simple and easy to use video delivery platform (VDN) and one that also offered reliability to its subscribers. The NRB Network needed a platform that was easy to load content to for live / linear streaming and also for on demand / DVR style streaming. Additionally, the NRB Network was in search of a reliable and secure authentication system for their users. The NRB Network provides its live linear feed free of charge OTT and charges a fee for DVR content. Lastly, all of this needed to be presented and managed effectively. The NRB Network is offered by Pay TV operators like DirecTV, as well as, on the web... and now through Tulix on a Roku channel. An additional requirement for the NRB Network was that the authentication process for the Roku channel and web work the same. Viewers of the NRB Network wanted to easily be able to find the content they know, like and are used to, regardless of the platform that they are watching. In order to provide this, a simple yet reliable platform and user interface needed to be provided. NRB Network picked a partner in Tulix capable of developing a simple and easy to use end user interface, a powerful back office solution, secure authentication services, quality video transcoding and streaming PLUS a reliable network operator with Telco carrier class delivery. The Tulix provided OTT solution worked flawlessly to deliver an offer that worked easily on Roku and the web. Via the web The NRB OTT content was available on a wide variety of devices and screens. Additionally, the OTT solution provided by Tulix for the ROKU channel will be easily transferable to other similar solutions should the NRB Network wish to pursue other options like Amazon Fire, which is planned to be launched soon. To put it simply, Tulix is providing a true end to end solution for the NRB Network. NRB Network content is ingested live and streamed OTT in any required format. Content ingested live is also stored for DVR and on demand viewing for NRB Network subscribers. Tulix's Electronic Program Guide (EPG) System automatically recognizes what shows are playing and sorts archived videos by title and air time, making it easy for viewers to watch their favorite shows whenever they want. NRB viewers can easily load the NRB Channel from the Roku Channel Store and then go through a quick and easy authentication, like any number of Roku channels. In addition to the authentication, Tulix is providing a billing system to the NRB Network for their OTT subscribers. For the NRB Network's personnel Tulix is providing an easy to use interface and viewer analytics to assist the NRB Network in managing its subscription and streaming platforms. 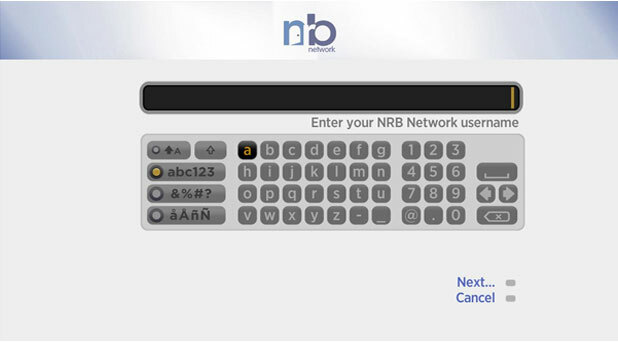 The below is a screen shot of the initial user authentication interface developed for the NRB Network Roku Channel. The interface is standard and also very easy to use. The following screen shots demonstrate the next step in the authentication process, an example of the DVR and the window where a customer clicks to view their content. The advantages of a Tulix provided solution for Roku channels are numerous for the NRB Network and for organizations like them. Tulix is a premier global video solutions company and provides an end-to-end streaming solutions for live, on-demand, and time-shifted video to any screen. Tulix uses its own Video Delivery Network (VDN), built from the ground up for live video streaming, to guarantee pristine video delivery to audiences across the globe. On top of this vid eo "know-how" and as previously mentioned, the company offers an end to end offer for designing and implementing the Roku user interface, an authentication and billing solution, back office analytics plus CDN services. In one bundle, and dealing with one company, content providers can really achieve one stop shopping for what is a complex technology solution! The fact that Tulix has launched numerous Roku channels for other content providers was a big benefit for the NRB Network. The NRB Network had launched originally with another provider and had a solution that was not reliable and was a source of headaches for the NRB Network and frustration at times for their viewers. Now the NRB Network has no headaches, viewers have easy access to content that they want and, on top of it all, the NRB Network receives an excellent ROI on its expenditures. Do you need to launch a Roku or OTT channel offering? If so, you cannot make a better choice that utilizing the skills, expertise and technology of Tulix.